Sweet red licorice flavor is widely used for candy production. This flavor is long lasting and concentrated. Use it to enhance your drinks, frosting, candy, deserts and more. Type: Red licorice Water Soluble Flavoring. Ingredients: Natural and Artificial Flavoring, Propylene Glycol and Ethanol. USP Kosher Grade Flavoring. Usage Rate: 15-20% for E-use. Flavor Suitability: Suitable for desserts, ice creams, pastries, candy, lip balm and more. Specific Gravity: 1.02 No Refunds on Flavoring. This is what red licorice should taste like. 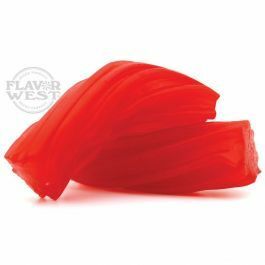 It is very reminiscent of good old red vines, not the modern equivalent licorices.